Healthcare providers are continually struggling with the increasing pressure to cut down on patient costing, providing higher quality service, increased accessibility, etc. The healthcare industry is now looking keenly at IT solutions as a remedy to these issues. Facilities and solutions are being mastered through the use of cloud computing, big data analytics, and advanced communication and networking to address the prevalent challenges within the industry. Among the many solutions, the critical one being discussed is a healthcare provider network management system – a system through which caregivers are on a universal platform under an umbrella that provides easy communication and connectivity. A healthcare provider network is a compilation of all doctors, physicians, hospitals, clinics, pharmacies, etc. that are contracted within a certain plan to extend medical assistance and care to its members. The healthcare providers, within this plan, are called the “network providers”. Healthcare and medical service providers that are not part of that particular plan are called “out of network providers”. In spite of the aforementioned advantages, in the current scenario, there are certain challenges that are still faced by healthcare providers, payors and consumers. Furthermore, when building a healthcare network management system, careful attention should be given to market challenges of varying contracts between healthcare systems, practitioners, etc. that increase complexity toward alignment. Managing the quality of care among the entire network of providers also remains a challenge. Absolute quality consistency is usually impossible to achieve, but the system must ensure that quality of service is more or less consistent. This can be achieved through strict regulatory requirements by the healthcare providers. Additionally, calculating cost is another major pain point within the network management software. This is because the healthcare providers also usually do not have the full information. As patients move from one provider to another, the predictability of costs us further diminished. This is compounded when providers move in and out of the network. The above pain points usually stand as a hurdle towards successful implementation of network management solutions. 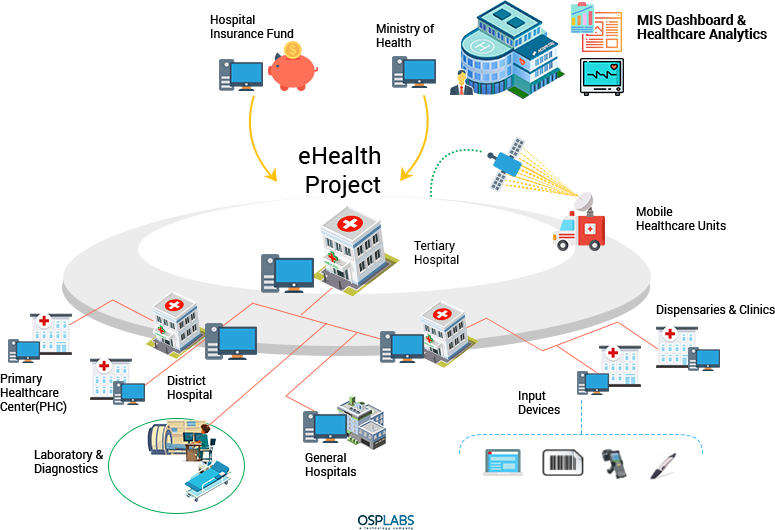 Designing and implementing a healthcare network management system requires a more complex and sophisticated approach, with higher quality implementation functionality. A well-equipped network management software lies at the crux of successful healthcare implementation. The criticality of a strong network of healthcare professionals cannot be undermined. In a mature market, the network management should work towards retaining providers and sustaining important lines of communications and follow processes. In a new market that is undergoing speedy expansion, analytics and recruitments should be the focus. Below is a demonstration of the many arenas of networking that fall into the healthcare providers network management system. Networks that are designed around per visit costs and discounts fail to provide the larger picture of the total cost for an entire episode of healthcare requirement or provision. When the network is built with a vision of calculating the entire cost of the episode, this creates a stronger foundation that is evolved from the consumer’s point of view. The system then calculates the cost in a more comprehensive manner and provides a microscopic view of the cost of total care provided. A strong network management system should be able to gauge the quality of healthcare service along the following metrics: safe, effective, patient-centered, timely, efficient and equitable. The above mentioned parameters are the fastest way to comprehend consumer satisfaction. Evaluations should not be made on the amount of time of visit or the duration until discharge, but much rather on the details of care and service provided. Another strategy would be to prioritize providers that perform well on the mentioned parameters, in such manner that they receive a higher volume of patients. This is an approach that makes the consumer the priority and the network is created based on the consumers preferences. Among others, some ways in which this can be achieved is by simplifying regulatory process and reducing the through shorted product development cycles. Regular feedback from patients, direct consumer input opportunities, options for network preferences, etc. are other incorporations that lend themselves towards a stronger network management system. A strong network management system is one that has strong leadership capabilities. This approach takes care of potential issues within the system, before they arise. Some ways in which a strong supervisory process can be put in place is through the deployment of full-time managers and overseeing authorities that are purely employed to over manage the system. There can also be supervisory committees that will periodically assess the quality of the network. Legal compliance is another aspect that needs to be monitored. Apart from a diverse range of doctors, physicians and hospitals, the provider network must include ancillary healthcare service providers, such as, rehabilitation centres, physical therapists, home service providers, small clinics that are demographically diverse, scanning and image service centres, etc. These added services will increase the overall strength of the network by providing end-to-end services to the consumer, while keeping the consumer within the system. The provider network system should be equipped with contemporary and solution-centric IT systems. This involves a regular update and maintenance protocol. Tracking quality of services rendered, costs of healthcare services, inter-communications, etc. should be automated within the system, requiring little or no human intervention. A healthcare provider network management system needs to be able to create and manage efficiencies within the care-giving process that does not compromise on quality or safety for the consumer. This can be achieved through verified and consistent processes. The processes may include the time involved in procuring an appointment, duration of critical care, etc. This eradicates unnecessary waste of services and higher costs and thereby, increases consumer satisfaction. This is integral to the success of provider network management. Standard quality can be maintained through adoption of evidence-based practices of services. Additionally, a check-list of the expected quality of service should be created for clinics and hospitals to comply with. Regular monitoring, through physical visits and patient feedback forms can assist in ensuring that quality standards are maintained. The healthcare providers on your network are the lifeblood of your system. It exists because of them and therefore, should be chosen wisely, with the highest standard of selection criteria. Provider credentialing is key to this process. This involves compiling a profile on each provider that includes details of their operational methods. Furthermore, a right mix of physicians, specialists, ancillary care-givers, etc. will make your network stronger. The network should only include those providers that fit the highest standards of quality defined by the system. These can be determined through evidence-based analysis and performance data, which should also be an automated feature within your management system. Finally, the system should ensure that billing processes and practices are uniform across providers and consumers. This also includes the time taken to raise an invoice until the end of the process. Auditors can be deployed from time to time to ensure that processes and costs are in line with the expected quality. The above mentioned steps will go a long way in ensuring that the healthcare network management system is robust and attractive to consumers. However, do keep in mind that demographically different segments come with different healthcare needs, and these needs need to be carefully analysed while creating the network. For example, younger population would be more inclined to a low-cost network due to the lower amount of health issues involved. By contrast, a network that envelops larger health needs may be of value to an older population. Further, every network must be marketed and advertised to its intended audience. This will attract consumers and bring about larger visibility. These marketing strategies should include the benefits of the network, the quality assurances and the affordability factor. How can feedback from other networks be evaluated? How can costs be controlled through increased efficiency? What kind of analytics can be applied to design the network? 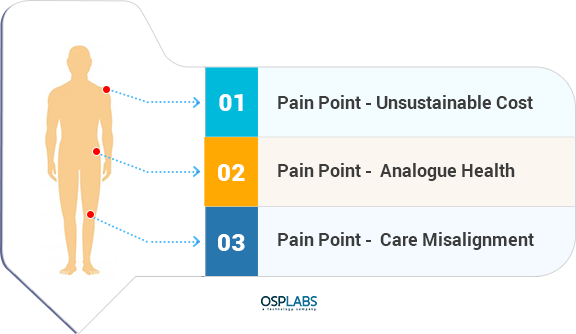 What provisions can be put in place to address pain points? The future of the healthcare industry is replete with powerful networks that are geared to addressing consumer needs through automated processes. The opportunities to build efficient network systems that maximise performance and satisfaction for providers and consumers alike will provide improved outcomes, higher satisfaction, quality experiences and diminished costs. The data within the network is the crux of the provider network and how this data is used will make or break the system. Analysis of this data can determine the type of providers that need to be deployed into the system. The data can further assist in identifying gaps in the system and further network development. Finally, data is useful in the evolution from provider credentialing to service initiation. Finally, a high quality healthcare provider network management system is capable of achieving easy accessibility, universal affordability, efficient and quality healthcare services and a fair amount of choice for the consumers. Providers on the high end networks are also working on expanding their facilities to deliver better service and stay on par with the fast evolving IT systems in healthcare. Virtualization, big data, cloud computing and unified communications are the foundational features of every successful network management system and are going a long way in creating next-generation facilitation.